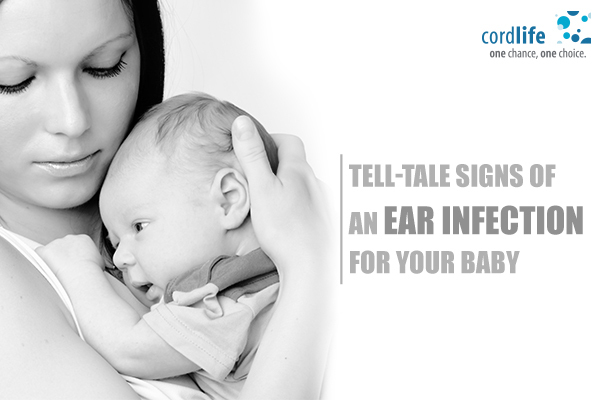 Frequent ear infection, ear discharge in babies is a daunting problem for parents. 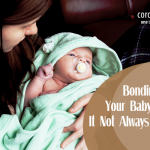 Most of the time it is hard to detect if the baby has an ear problem because the baby cannot communicate. Let’s find out how ear infection builds up and which are its possible signs of identification. What Causes Ear Infection in a Baby? The ear has three parts such as outer ear, middle ear and inner ear. The middle ear is the space where infection happens and inner ear balances the nerves. The outer and middle ear again has two parts known as eardrum, which gives signals to the brain through the Eustachian tube from the back of the nose. Babies have small ear tubes connected to the nose and throat. Bacteria easily enters into these small tubes in a sick condition such as a cold. Generally, in the ears, any liquid gets drained by eustachian tubes. Sometimes because of cold, sinus or allergies, the eustachian tubes get blocked. This condition causes germs to start growing that infects the ear, which babies find painful. It may also end up causing fever. Babies pulling at the Ear: Watch out when babies are frequently pulling at their ears; it could be a sign of an ear infection. Ear infection causes pain, discomfort. Hence, babies try to reduce the pain by trying to pull their ears. Yellow Pus: Be sure that the baby is experiencing an ear infection when you see yellow pus or bloody fluid coming out of the baby’s ear. Fluid comes out of the ear when eardrum gets ruptured because of more fluid. Difficulty in lying down: When a baby with ear infection lays down the fluid inside the ear changes its pressure, which is quite painful for the baby and so the baby is unable to sleep soundly. Baby cries more: More ear infection causes extreme pain and makes the baby irritated. Baby cries for many reasons, but you can compare other ear infection signs to be absolutely sure. Limited Appetite: Ear Infection makes it uncomfortable to swallow or chew food. You may notice that the baby pulls away from the breast or bottle after taking only a few sips of the milk. 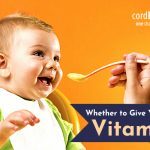 This condition reduces the baby’s food intake and creates a gastrointestinal upset, diarrhoea and vomiting. Fever: When the baby has a temperature of 100 F, it is necessary to check other common symptoms as the body is trying to fight a possible ear infection. A runny Nose: It is one of the signs that indicates an ear infection. Ears are directly connected with the nose and the throat. Therefore, there is a chance that the bacteria may have travelled to the ears and infected the same. Ear pain could be a risk to the baby’s health. Often, timely observation of the baby’s ear problem can save the condition from massively escalating into an inflammation. Mild ear problem can heal on its own. If in 2 -3 days of time baby is still showing much discomfort, then you will need to see a Paediatrician or an ENT specialist. As we know that the baby’s health is delicate. Therefore, it is better to check with the doctor before trying home remedies such as warm compression or a painkiller.